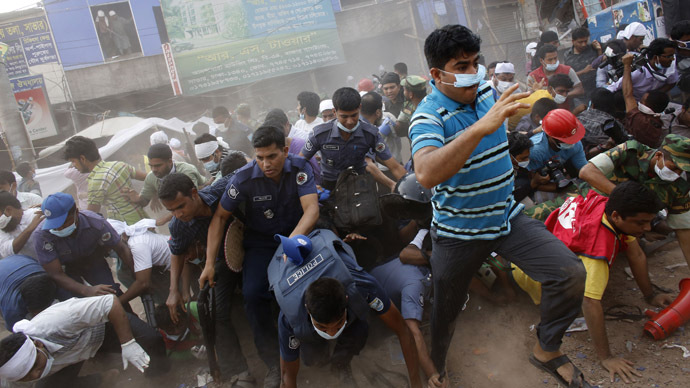 A young woman trapped in the rubble of the collapsed eight-story building in Bangladesh for 17 days has been found alive, and suffered no major physical injuries. 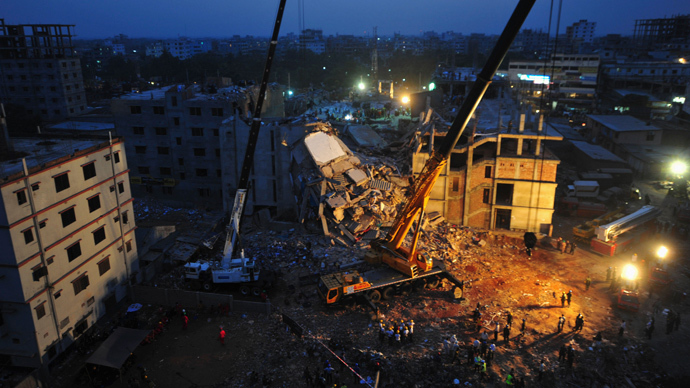 When Rana Plaza, a huge block of garment factories, caved in on April 24, the seamstress was trapped in a room on the second floor, with three dead colleagues. She survived by rummaging through their bags for supplies. As the workers, who had not pulled anyone out alive since April 28, and had been operating with bulldozers, got closer, she summoned her remaining strength. Luckily, she was heard, and the machinery was immediately stopped. Rescuers then spent 40 minutes trying to extract Begum safely, and passed her water and saline. “Allah, you are the greatest, you can do anything. Please allow us all to rescue the survivor just found. We seek apology for our sins. Please pardon us, pardon the person found alive,” said a man with a loudspeaker in front of the gathering crowd at the scene. Police said Begum was not injured because she was trapped in a “wide space”, and is already healthy enough to walk. 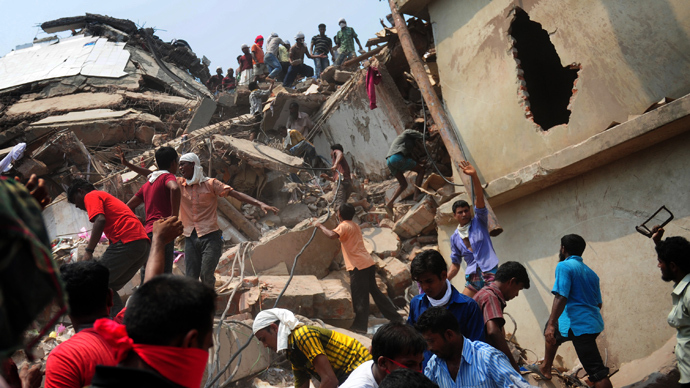 The miraculous rescue has been seized on by Prime Minister Sheikh Hasina, who was criticized for not enforcing the safety regulations that would have prevented the collapse of the Rana Plaza, the latest in a string of garment factory accidents in Bangladesh, which earns $20 billion a year from the industry. Hasina immediately called Begum, who broke down in tears and repeated the words “Please pray for me.” The prime minister later took a helicopter to meet the survivor in person. Around 1,050 people have been recovered from the accident site, with more than 100 presumed missing, and likely dead. 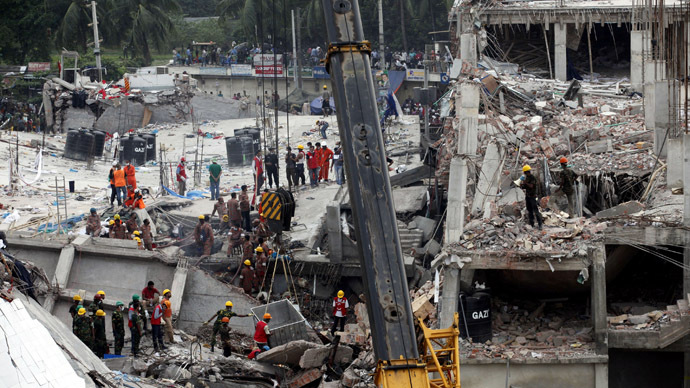 Workers have removed more than half of the 7,000 tons of debris from the ruins of the building. While Begum’s survival for 17 days under the rubble is unusual, it is not a world record. After the 2005 Pakistan earthquake, Naqsha Bibi was imprisoned in a tiny space within the remains of her kitchen, and survived for 63 days by eating decomposing food before being found by her family.